As I travel all over the Uk for work it means I not only get to visit many beautiful towns and cities, I also get to chance to visit many different Lush stores. 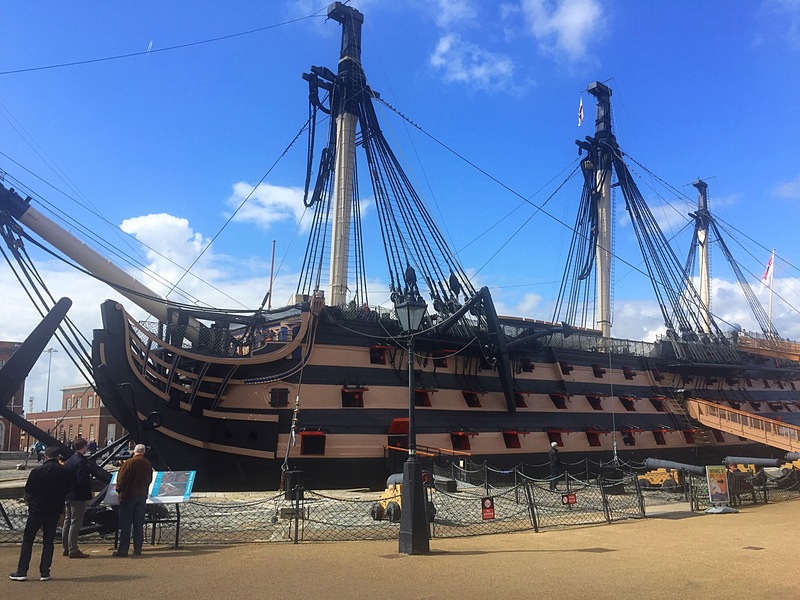 Recently I was invited along to attended the Lush Portsmouth VIP night, and as I was working in the area at the time I decided that it would be a great opportunity to also explore the very beautiful Portsmouth before the event. 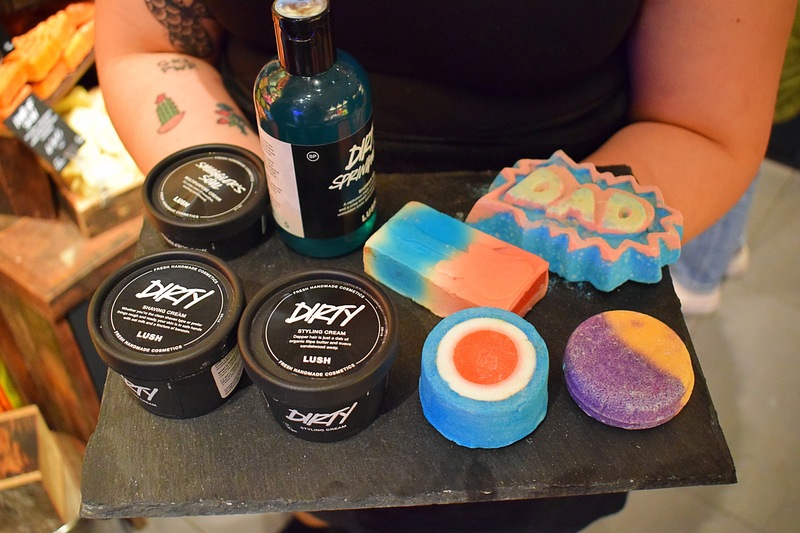 After a busy day of being a tourist and visiting Nelsons ship HMS Victory, I headed on over to Lush Portsmouth with my partner in tow for a wonderful night of exploring there newly refurbished store. As we entered the store we were greeted by some very friendly staff who offered us a glass of fresh smoothie or bubbly (have a little guess which one I chose). 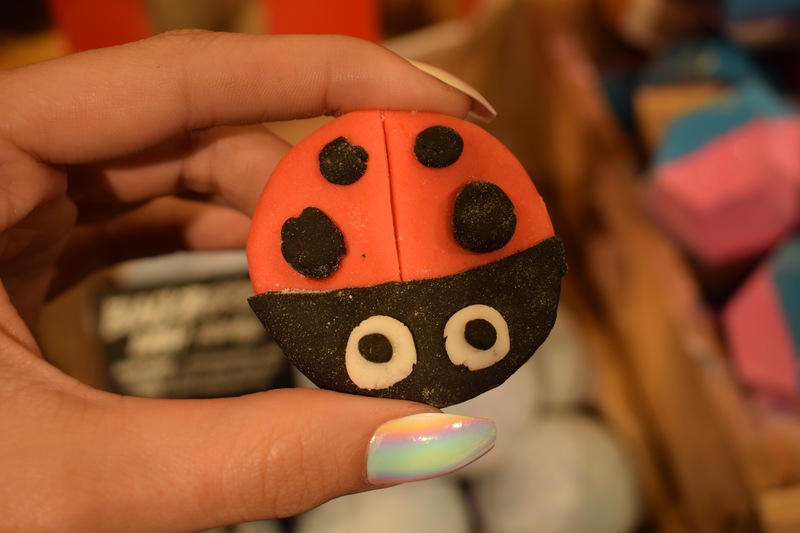 There was also an array of beautiful cakes and biscuits that had been handmade and inspired by lush product. 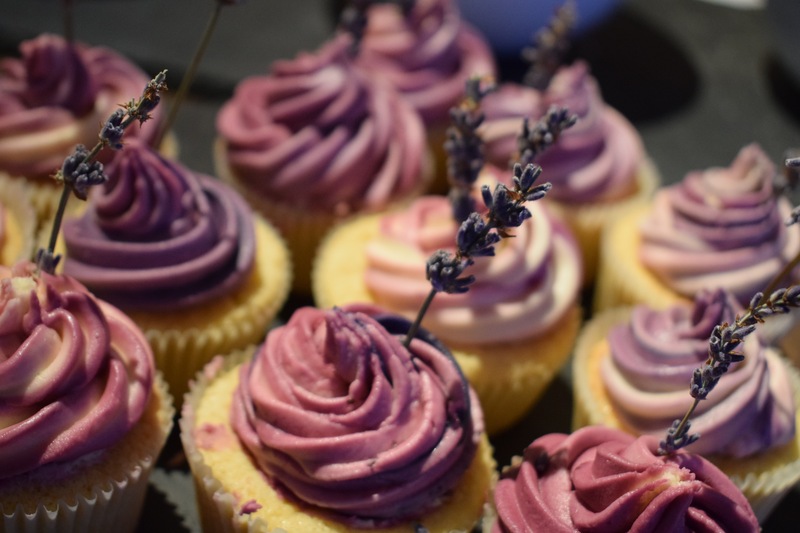 My favourite was the beautiful lavender cupcake that looked just like the A French kiss Bubble Bar. We explored the store and had a sneak peak at the brand new Father’s Day products. If you fancy finding out more about the products in this years range click here to watch my YouTube video. 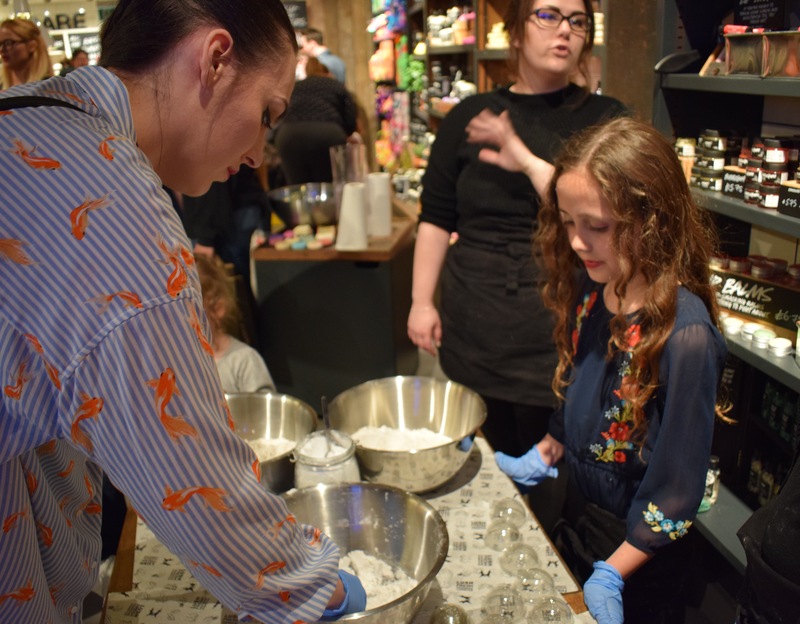 But my favourite part of the evening was having the chance to make our very own butterball bath bomb, with help and guidance from the very lovely Meadow. Meadows mum works at Lush Portsmouth and Meadow had the very important job of being in charge of the Lush making station. I’m very glad she was as it turned out I wasn’t very good at making bath bombs at all. If Meadow hadn’t been there to help it would have been a complete disaster. I think it is absolutely fascinating how all of the Lush products are made and it really is a lot harder than I looks. 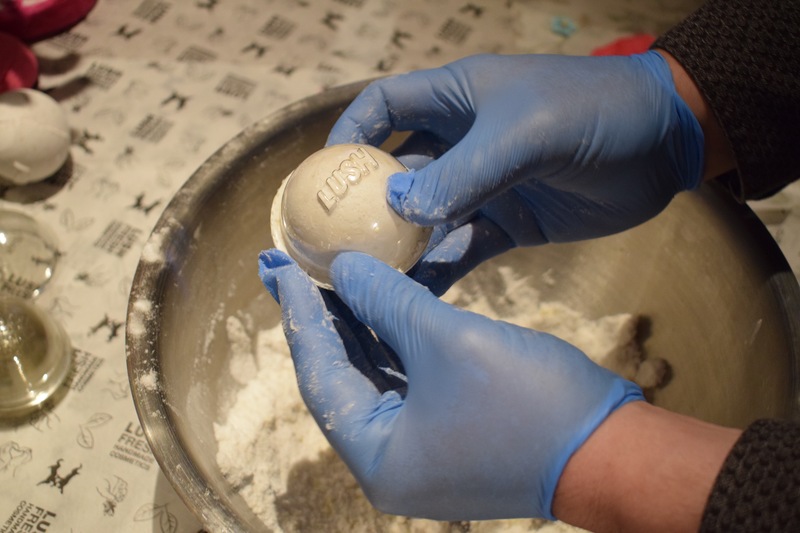 Its amazing to think each and every bath bomb you buy is made by hand. Meadow very politely showed us all the different ingredients and how you combine them together in the right quantities to make the Bath Bomb. It’s almost a bit like making a cake (in also very bad at baking, so I really didn’t stand a chance). 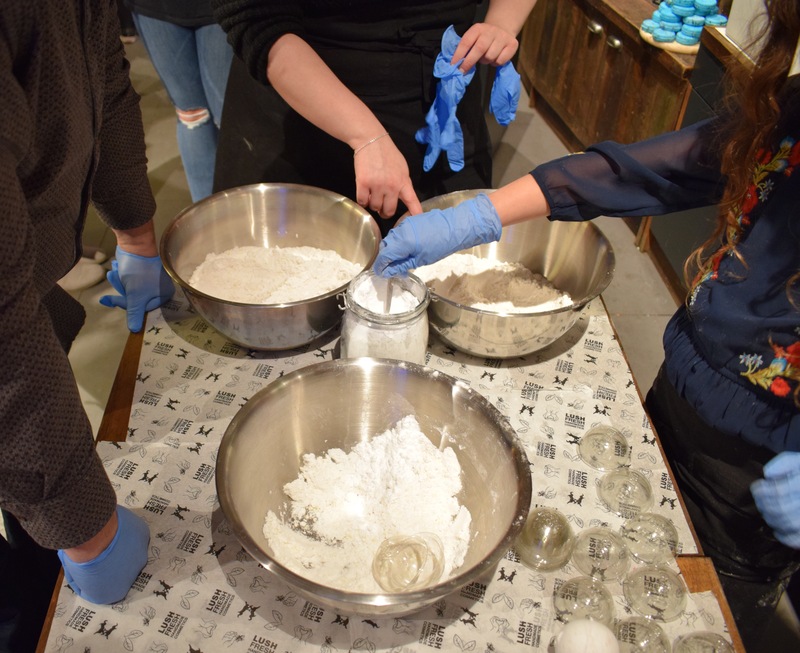 Once everything was mixed together we had to fill up our mounds and push them together to create the bath bomb. At this point the bath bomb was meant to stick together! Mine just fell apart, but luckily Meadow was there to help and showed me if I tried again it would eventually work. She was right and soon had my bath bomb looking perfect. Not only did Meadow teach me how to make a bath bomb she also taught me a very important lesson which as I’ve got older is sometime I have forgotten to do. The imortant lesson that Meadow taught me is that when things get hard not give up up so easy and if you keep trying you will get the outcome you want. So thank you Meadow for being some wonderful.